The Hohner Meisterklasse Chromatic C 56-Tone Harmonica is a high-end chromatic harmonica in the key of ‘C’, offering a bright, clear sound with high response. 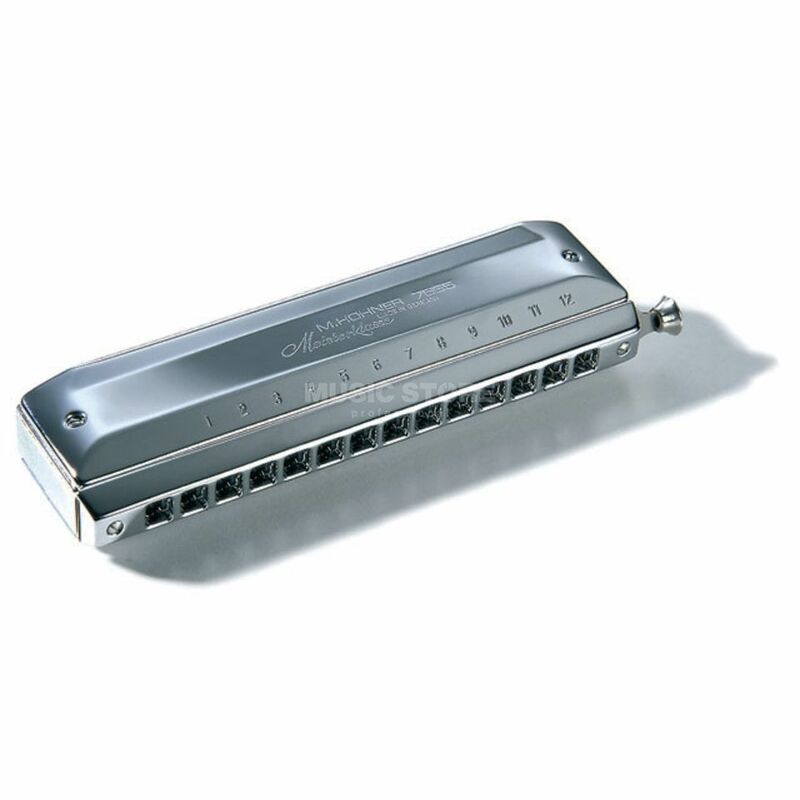 With a 3.5 Octave note range, it was designed for professional players of classic harmonica music. It will master any score written for the violin. The Meisterklasse produces bright clear sounds with fabulous response from every register. Its construction utilizes a narrow mouthpiece with rounded channel openings, a silent slide mechanism, and an aluminium comb.